← A New Felt Is Coming! I was recently emailed from this blog and to my great surprise and wonderment, a kind soul sent me a photograph of their beloved Felt Town. A traditional FT which has been framed and hung on the wall in there home. Thanks so much for sharing! 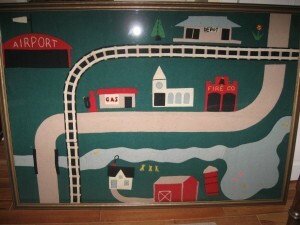 This entry was posted in Felt Town in the World, Known Felt Towns. Bookmark the permalink.